BRUSSELS, Belgium, May 16, 2014 (ENS) – European countries formerly divided by the Bosnian war are today united by catastrophic flooding and the European Union is rushing to their rescue. The European Union Civil Protection Mechanism was activated late Thursday at the requests of Serbia and of Bosnia and Herzegovina due to severe flooding that has inundated large areas of both countries. On Thursday, the government of Serbia declared the whole country to be in a State of Emergency, due to flooding caused by heavy rainfall since May 13 amounting to 71mm (2.8 inches) of rain in Loznica, western Serbia and a similar amount in Nis in the south. High capacity water pumps and expert teams to operate them are urgently needed in Serbia, where three people have died in the flooding. Roughly 4,600 Serbs have been forced to evacuate their homes, while government estimates show 85,000 households are without electricity, as a large number of power plants have been flooded. The rivers Kolubara, Jasenica, Ubu, Mlava and Pek continue to exceed the flood emergency levels along parts of their courses, while all rivers in the country show a tendency for further flooding. Within hours of the Serbian request for assistance Germany, Bulgaria, Austria and Slovenia offered help. Their assistance, made through the year-old EU Emergency Response Coordination Centre, will be deployed through the EU Civil Protection Mechanism to the flooded areas in Serbia. The Serbian government also has appealed for help from Russia, and the Russian Emergencies Ministry announced that it will send in rescue personnel. The rainfall in Bosnia has been the heaviest in its 120 year long history of recorded weather measurements. Bosnia and Herzegovina has called for helicopters and motor boats to evacuate people and to transport water, medicines and food. 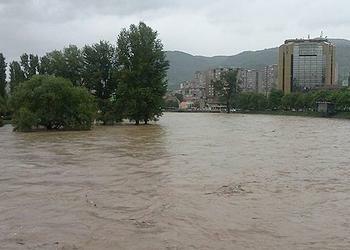 Heavy rainfall continued to affect Bosnia and Herzegovina on Wednesday, with 107mm (4.2 inches) in 24 hours measured in the northeastern city of Tuzla. The Vrbas river in Delibasino in the northwest and the Bosna river downstream from the capital Sarajevo are still above flood emergency levels. Weather forecasters predict continued rainfall for the next two days. As of Wednesday, the Zenica-Doboj Canton is the worst flooded area. Households have been left without electricity and people have been forced from their homes. Several bridges were destroyed and transportation is blocked by landslides in several places, stranding cities and villages. The evacuation of the people trapped by the floods is ongoing. Slovenia, Luxembourg and Austria have offered helicopters and motorized rescue boats to support the evacuation and transportation efforts on the ground in response to the request of Bosnia and Herzegovina. 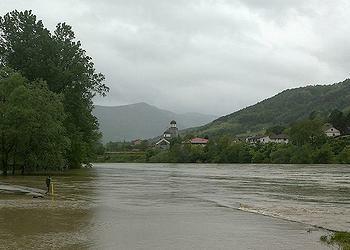 The flooding across southeast Europe is also affecting areas of Poland, Austria, Slovkia and Bulgaria. Kristalina Georgieva, the European Union Commissioner for international cooperation, humanitarian aid and crisis response, expressed her gratitude to the donor countries, some of them still struggling with their own flood emergencies. The European Commission’s Emergency Response Coordination Centre, ERCC, is in close contact with both affected countries and with participating states in the EU Civil Protection Mechanism to investigate the possibilities of further assistance. Disaster management is needed now more than ever, as the frequency and intensity of natural and human-caused disasters continue to grow, says Georgieva. Since it was launched on May 15, 2013, the ERCC has been activated more than 35 times during crises – from Typhoon Haiyan in the Philippines through forest fires in Europe to the Syria refugee crisis. The European Union Civil Protection Mechanism facilitates co-operation in disaster response, preparedness, and prevention among 32 European states – the EU-28 plus Iceland, Liechtenstein, Norway and the Former Yugoslav Republic of Macedonia. With the help of the European Commission, participating countries pool resources that can be made available to disaster-stricken countries all over the world. When activated, the Mechanism coordinates the provision of assistance, streamlining rapid, coordinated emergency responses. 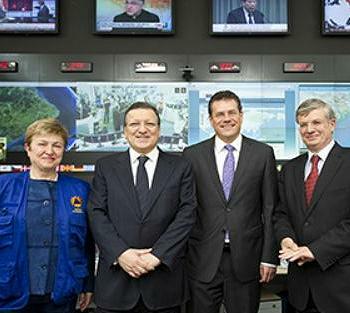 The European Commission manages the Mechanism through the Emergency Response Coordination Centre. The ERCC is operational on a 24/7 basis and can deal with up to three simultaneous emergencies in different time zones. Among other tasks, the ERCC also ensures that EU Member States are fully aware of situations on-site and can make informed decisions for providing financial and in-kind assistance. During the record floods which swamped Central Europe in May 2013 the ERCC produced 118 satellite maps, which helped national authorities track water flows and make imformed decisions.